Why Not Sneeze, Rose Sélavy? 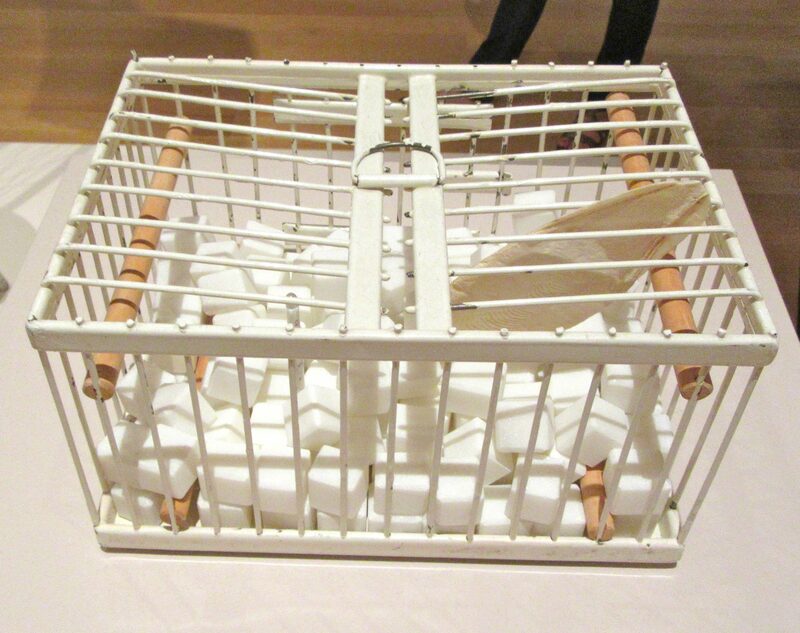 is a 1921 Readymade sculpture by Marcel Duchamp. 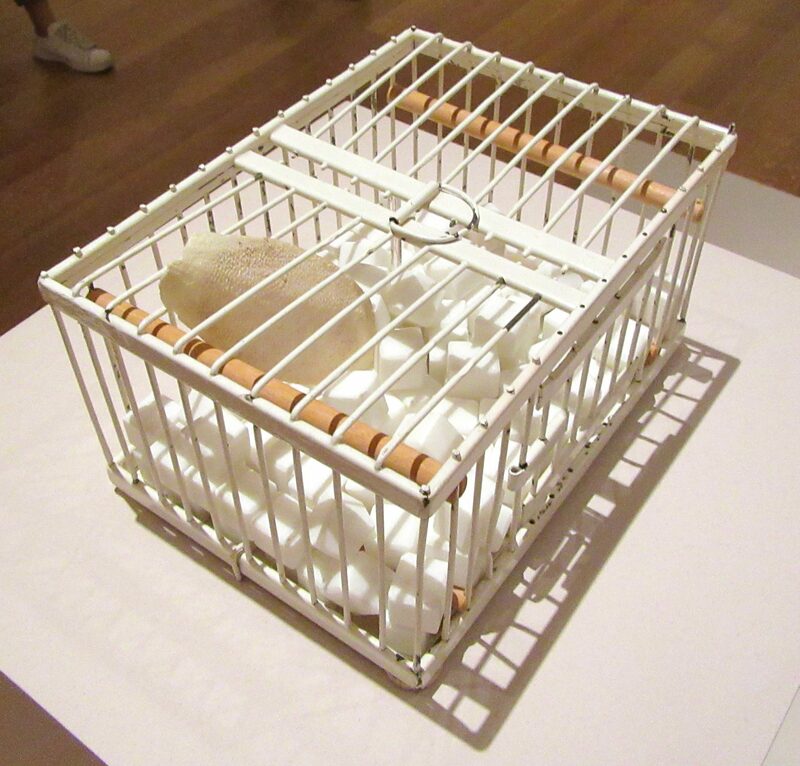 Duchamp considered this to be an “Assisted Readymade” because the original object, the Birdcage, was altered by the artist with the addition of the other objects. 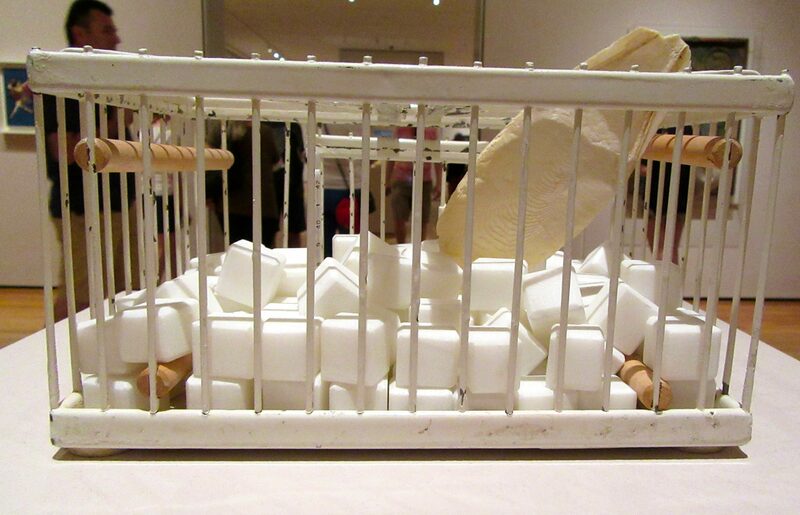 These consist of 152 white cubes (made of marble but resembling sugar cubes), a mercury thermometer, a piece of cuttlebone, and a tiny porcelain dish. 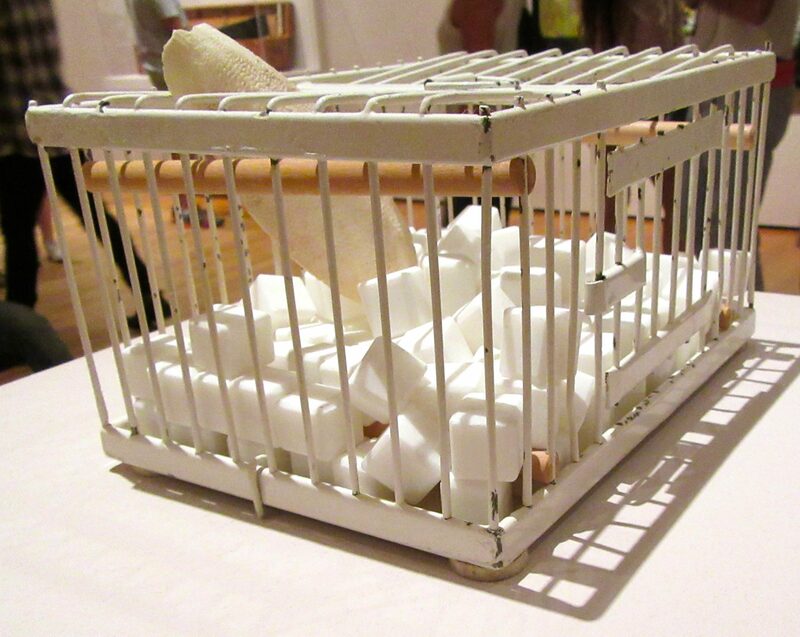 The birdcage is made of painted metal and contains several wooden perches. Rrose Sélavy, or Rose Sélavy, was one of the pseudonyms used by artist for the creation of other works, such as This One.